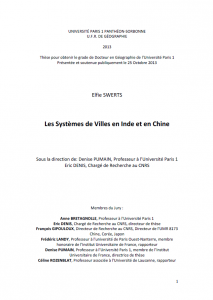 Many economic links connect the cities embedded in systems of cities (for example commercial links, financial ownership links…). They participate in the intrinsic complexity of these systems. The interactions and connections between places due to the economic stakeholders can substantially impact the shape and the dynamics of any system of cities. Especially, networks built up by transnational firms by the ownership of subsidiaries located beyond their territorial borders into foreign systems of cities, could shape the future of related cities. These foreign investors can provide these cities new jobs by the creation or extension of establishments but also sometimes weaken them through a massive control on their total employment, transnational investments being expected to be more volatile than national investments. A new source of data providing interesting insights on the effective location of these impacts on French cities is now available (see box below). 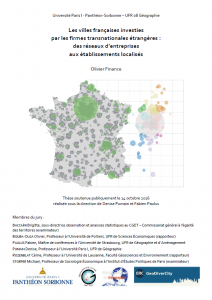 the CLAP data base (also produced by INSEE), to add the level of establishments (the most suitable one for our geographical approach, whereas ORBIS and LIFI are limited to companies). Our first analyses outline the high concentration of foreign-controlled employment in the biggest cities of the system (figure 1). We could expect this result by observing these networks at the level of the companies, as it is known that their headquarters are more concentrated than their physical locations. Yet even when these jobs are located at the level of establishments, the foreign-controlled activities scale superlinearly (as indicated by the scaling law exponent higher than 1). Foreign-controlled employment is consequently much more concentrated in largest cities. The distribution of these establishments is not proportional to the size of the cities, as it benefits first and foremost to the biggest cities of the system. Taking into account the power law relationship and the quality of fit which remains nevertheless medium, another major trend appear in our first analysis. The amount of foreign-controlled jobs in the smallest cities is highly variable, some of them being deeply invested by the transnational firms while some others are almost avoided. A more detailed study of this variability show strong regional effects in addition to the hierarchical ones (figure 2). 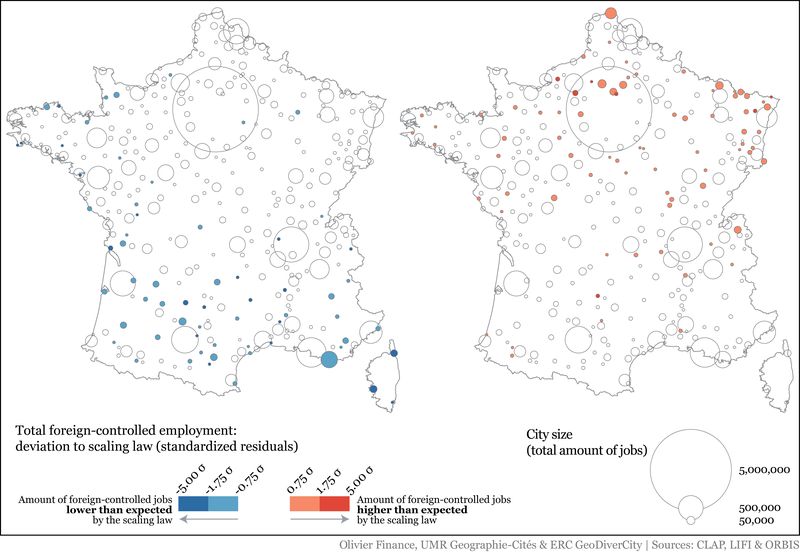 Cities with higher amounts of foreign-controlled jobs than expected by the scaling law are almost always located in Northern and Eastern parts of the country or located near Paris; cities where this amount is lower than expected are located in Southern and Western parts of the country. 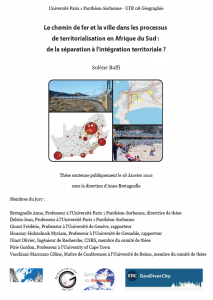 Thus foreign investors adapt to former spatial trends of urban functional specialization in France. 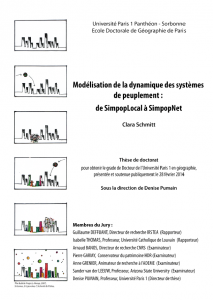 As urban hierarchy doesn’t explain the distribution on its own, further analyses will investigate the effects of the economic specialization of cities, the closeness to bigger cities, or the shape of the networks where these cities are embedded or not. 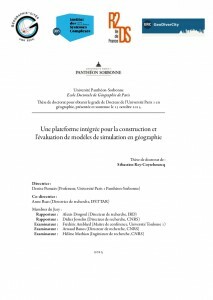 Our intention is to formulate some stylized facts identifying emerging properties and network dynamics that characterize the distribution of the foreign transnational firms into the French system of cities at an unprecedented level of detail. Besides classical multivariate analysis and networks analysis, scaling laws will constitute one of our main analysis tools, as they shed new light on the connection between urban functions, city sizes and economic innovation cycles (Pumain et al., 2006). 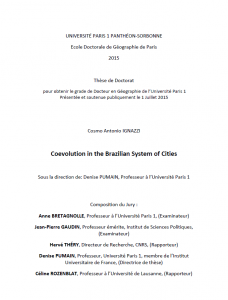 This thesis, part of the GeoDiverCity program, will contribute an approach historicizing the scaling laws parameters relating them to the innovation cycles and the hierarchical diffusion of innovations theory in the system of cities. 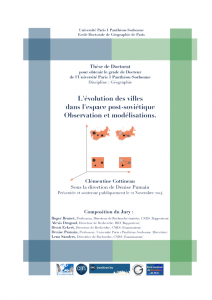 Olivier Finance, PhD student under the supervision of Denise Pumain and Fabien Paulus.